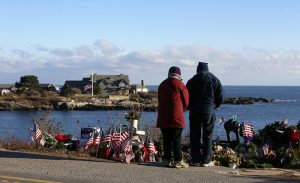 Future of Walker Point, Kennebunkport in question? 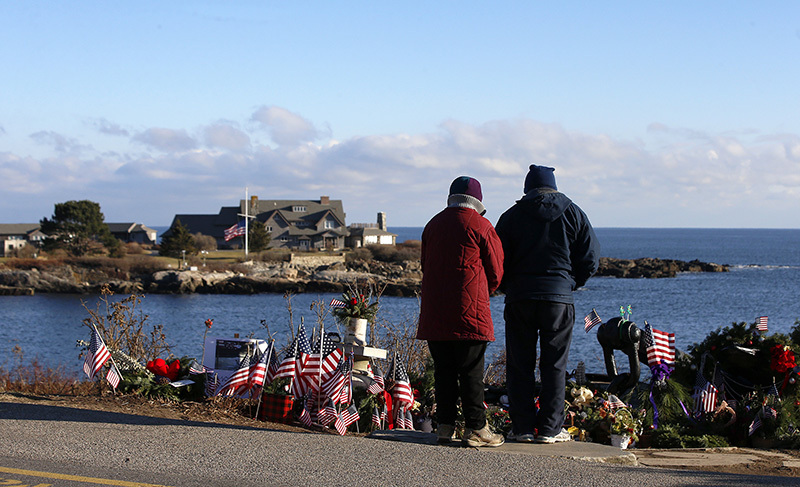 Marie and Ken Normandin survey mementos left in shrine for former president George H.W. Bush on the shoreline overlooking Walker's Point on Dec. 11.